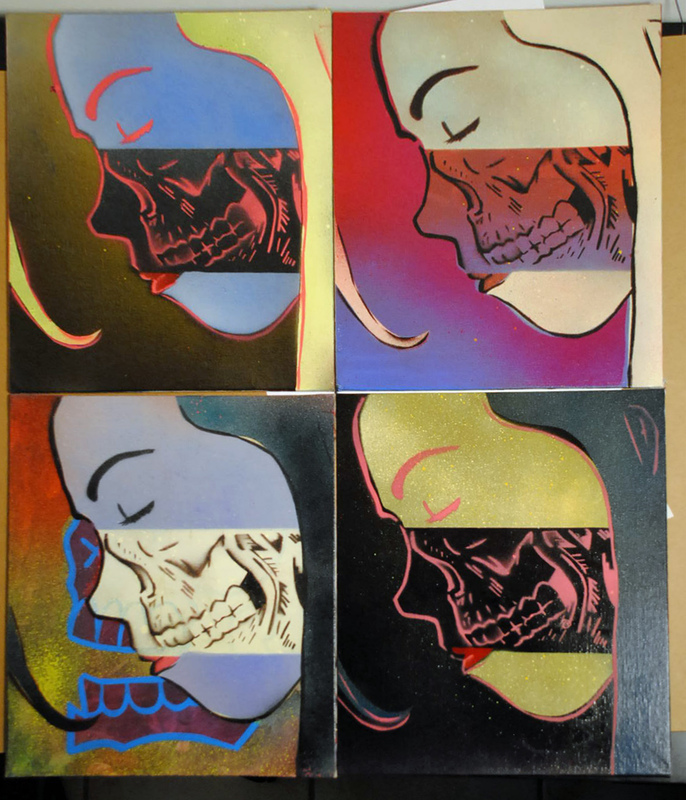 What started as a simple 1 layer stencil for a sticker (and possible wheat paste in the near future) turned into a 4 layer stencil I put on some canvas panels. 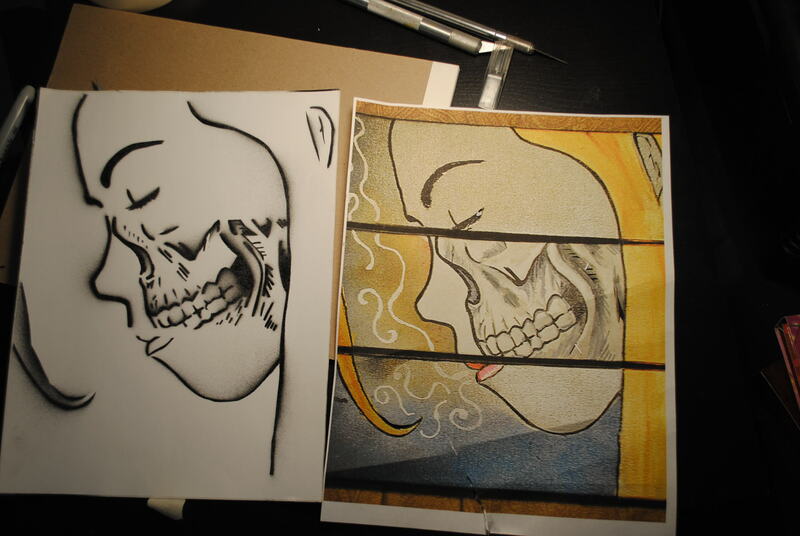 It’s been a while since I’ve worked with multi-layer stencils, which really makes me want to do some screen prints soon. It was a bit tough making sure the layers were lined up without any registration, one of the reasons I’m selling these so cheap. Each one is unique and on an 8×10 canvas panel. I’ll be making more variations, and custom color schemes are available upon request. 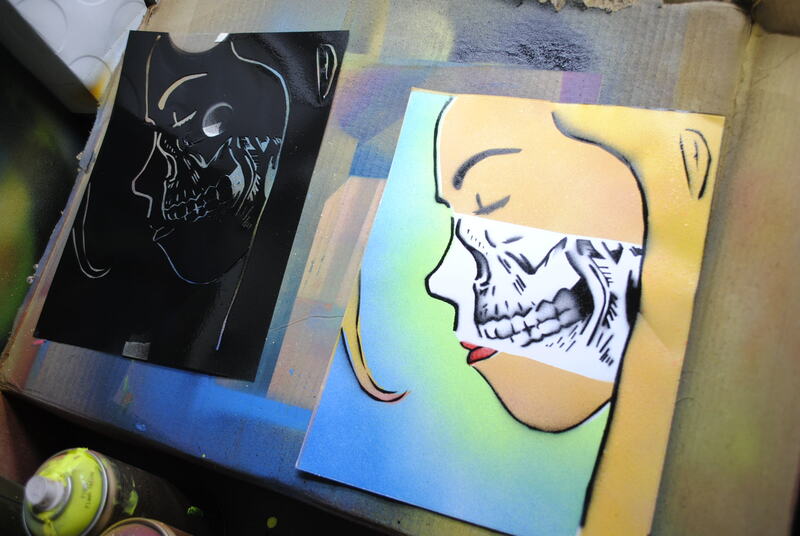 This entry was posted on May 6, 2012 at 4:53 pm and is filed under Art, Paintings with tags art, bright, girl, painting, spray paint, stencil, xray. You can follow any responses to this entry through the RSS 2.0 feed. You can leave a response, or trackback from your own site.